Can Arab Countries Make Up for India’s Loss of Iranian Oil? If New Delhi drops its oil imports from Tehran to zero, it will need to import more from other partners. With U.S. sanctions on Iran coming into effect on November 4, the global oil trade will surely feel the impact. India, the second largest importer of Iranian oil after China, may face difficulty in supplying its huge domestic demand for oil. The Indian oil market is already trembling due to crude oil price inflation and the depreciation of Indian rupee against the U.S. dollar. In 2017, exports to India accounted for 18 percent of Iran’s total oil exports; Iran is India’s third largest source of oil, after Iraq and Saudi Arabia. India earlier had declined to bow to U.S. pressure to cease buying from Iran, but now the Indian government has decided to cut imports from Iran to zero. India expects to fill the shortage created by nixing Iranian imports through an increased supply of crude oil from Arab countries. Arab countries are already a major source of crude oil for India, constituting around 64 percent of India’s total import of oil in 2017. At the same time, India is a major customer for many Arab states. As a large non-oil producing economy, the gap between demand and supply of crude oil is high in India. The Indian economy cannot sustain without adequate external supply of crude oil. Globally, India is among the top importers of crude oil after China, the United States, and Europe, importing around 10 percent of the world’s traded oil. In 2017, India exported less than 1 percent of global oil production while consuming around 5 percent of total global consumption. The majority of Indian oil is imported. With such a significant dependency on oil imports, it is not necessarily a wise commercial decision to disturb relations with a major supplier like Iran, which is flexible with its terms and maintains friendly relations with India in other spheres. 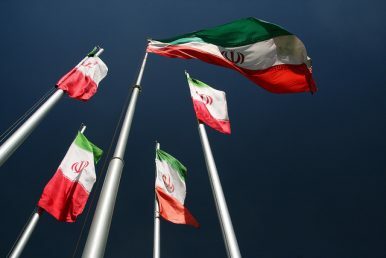 After the reimposition of sanctions on Iran, Arab countries have promised to fulfill the needs of countries like India that are pressured by politics into making an otherwise difficult business decision to cut off imports from Iran. Iran’s oil minister has repeatedly said that the oil market does not have the spare capacity to replace Iranian oil, as all exporting countries are already operating at capacity. Arab countries say they are ready to increase their supply under the influence of Washington, but India can’t cast away its worries about the sustainability of future relations between the United States and Arab countries as well as India and the Arab countries. Recent tensions between the United States and Saudi Arabia due to the murder of Saudi journalist Jamal Khashoggi in Turkey may worsen their bilateral ties; Washington may even sanction Saudi Arabia. Meanwhile, China and Pakistan, India’s major regional rivals, have become major investment partners of Saudi Arabia. Recently Saudi Arabia has shown interest in joining the China-Pakistan Economic Corridor (CPEC) project and has announced a $6 billion investment in Pakistan. Rather than crafting policy with the United States foremost in mind, India must make its own decisions with regard to the oil trade, Iran, and Arab countries. Strategically, both matter to India. The UAE, along with Saudi Arabia, has shown interest in investing in India’s petroleum reserves program to reach its 2022 vision of cutting down its dependency on oil imports. As far as Iran is concerned, Tehran fulfills New Delhi’s significant demand for crude oil and holds a major stake in the development of the Chabahar port. India is already struggling with high inflation of oil prices, which have increased by 18 percent from October 2017 to October 2018. The country can’t afford any external disruption to its oil supply that would increase the chaos in the domestic market. India must find an equilibrium between the Arab countries and Iran. Shafeeq Rahman, Ph.D., is a Delhi-based researcher. He blogs for the Huffington Post, Middle East Monitor, DailyO, and many other national and international publications.